(Measurements above are approximate. Add according to your own taste.) 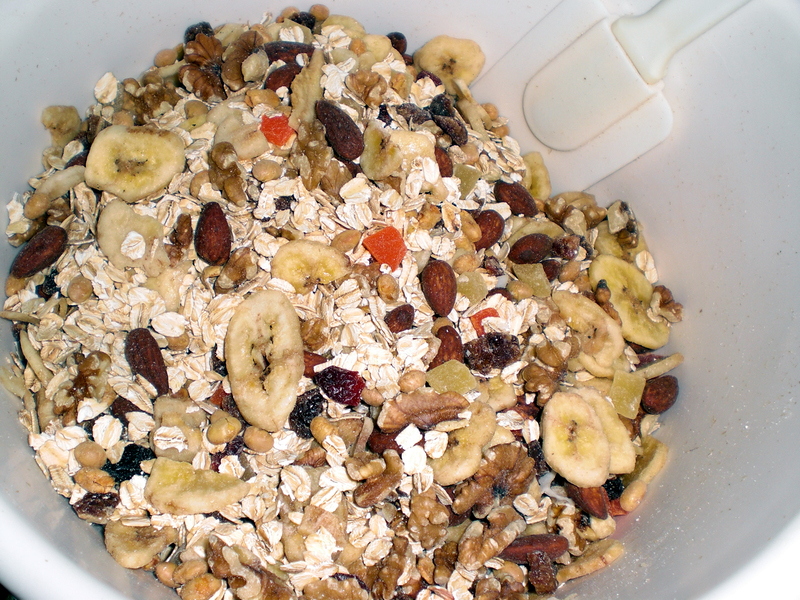 Add dry ingredients together in a large bowl. Stir together well. Spray baking pan(s) with cooking oil. 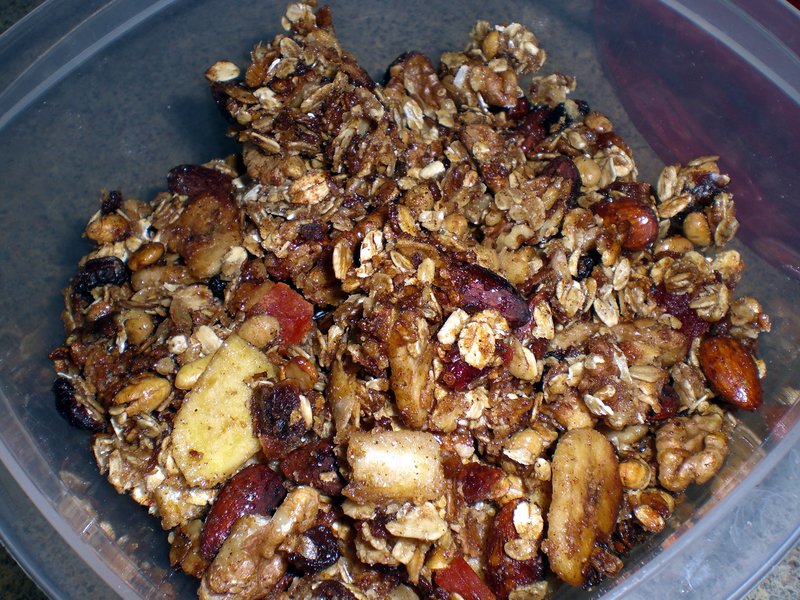 Fill with granola, but leave enough room to stir without spilling. I had to use 2 large casserole pans. 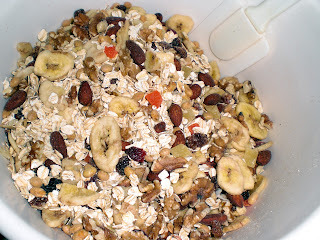 Add desired amount of honey to mixture, enough to dampen and clump granola. Stir well. Bake at 350 in 15 min intervals, stirring often. Its done when it is a light toasted brown. 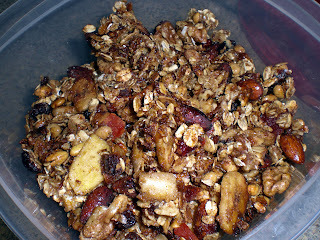 Granola will harden upon cooling. Don't burn it! Makes about a gallon or so, depending on how much you use.